Love quotes express real feelings and true emotions. 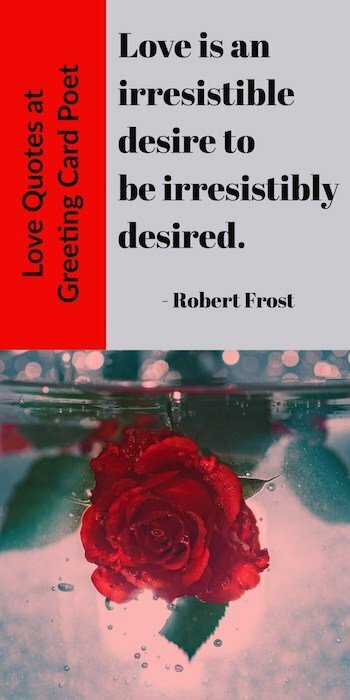 Review the collection of sincere funny quotations and romantic messages for Valentine Day and other times throughout the year when you’re looking to express your affection. These work great for text messages (sms messages), social media like Facebook and sweet messages for romantic letters for both men and women. Put your heart and soul into writing to the one you care the most for every day of the year. When you care a lot for someone, shower them with affection. It’s amazing when you find someone who appreciates you for everything someone else took for granted. Is to love, but to love in vain. 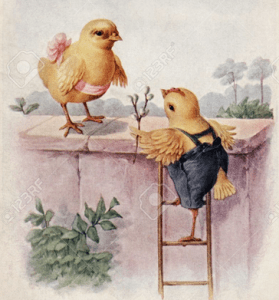 Love is a power too strong to be overcome by anything but flight. A friend is always good to have, but a lover’s kiss is better than angels raining down at me. The Heart wants what it wants – or else it does not care. I can not see your smile or hold your hand; but I hear your voice, and every word you speak makes me fall in love with you all over again. 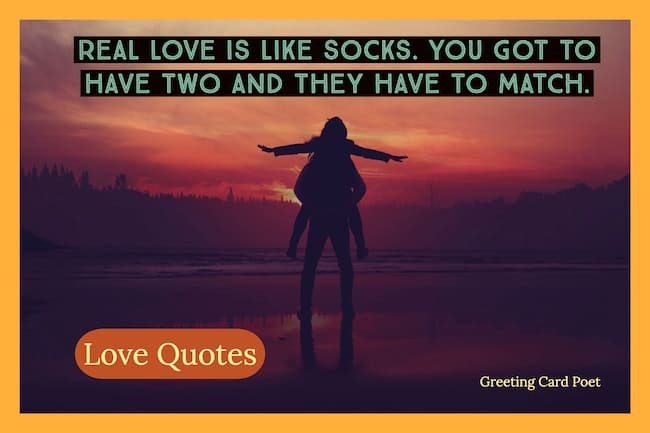 Real love is like socks. You got to have two and they have to match. You don’t just stop loving someone. You either always will, or you never did in the first place. What is done is done for the love of it – or not really done at all. Did I offer peace today? Did I bring a smile to someone’s face? Or, Did I say words of healing? Did I let go of my anger and resentment? Did I forgive? And, Did I love? These are the real questions. I must trust that the little bit of love that I sow now will bear many fruits, here in this world and the life to come. To open your heart to someone means exposing the scars of the past. Love is like the moon; when it does not increase it decreases. Check out Single Quotes and Sayings. The joy of late love is like green firewood when set aflame, for the longer the wait in lighting, the greater heat it yields and the longer its force lasts. Why fall in love when you can fall asleep. 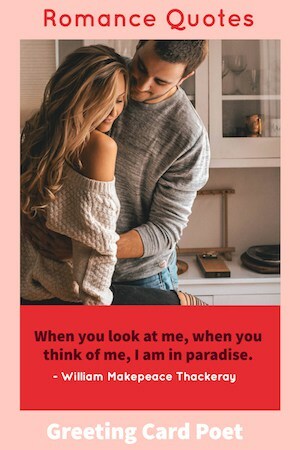 Tip: These love quotes make great captions for couples on Facebook and Instagram. Love is but the discovery of ourselves in another, and the delight in the recognition. A soul mate is the one person whose love is powerful enough to motivate you to meet your soul, to do the emotional work of self-discovery, of awakening. Check out these love yourself quotes. If I had a flower for every time I thought of you – I could walk through my garden forever.